FINALLY - some common sense has emerged from the Southern Hemisphere where Springbok winger Bryan Habana has come out and said what many must have been thinking, criticising the Experimental Law Variations currently being trialled in the Super 14. 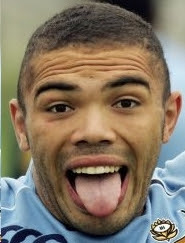 "It's got a lot more of a rugby league feel on it," Habana said at the Laureus World Sports Awards. "If guys wanted to play rugby league, they'd go out and play rugby league," Habana said. 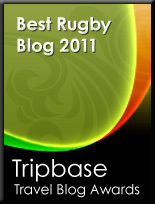 "The essence of what rugby is about is something that I don't think any player or any supporter wants to see lost. "As players, we just want to go out there and play this wonderful game we call rugby and hopefully they won't change what the essence of rugby is all about." The call to make the game faster with less stoppages on TV, the result is the EVL. If you add up the minutes where we saw a mix of forwards and backs lined up against each other in two horizontal defensive lines ( that negated each other) then you can conclude that the execution of these laws by the teams was AWEFUL. When a free kick is awarded one can chose a scrum, or even start a rolling mall, or quick tap and run. The first two allow forwards to be forwards and backs to be backs, the latter is easily defended by long defensive line. The game must be identified by SET PIECE PLAY, A CHESS GAME, TACTICS, FITNESS AND SKILL. Solely speeding a game is called basket ball. YUK !! Further Scrums where ok 30 years ago, so whats f**king them up now !! Mate, you're preaching to the converted here. Welcome aboard! ha ha ha, loving it. I can't believe people didn't see this coming. Bill Beaumont: "the northern hemisphere is conservative with a small c"
Western Force game could have been a poster child for The EVL's:Well-meaning, but in implementation took away from the game. Is that all we've got?